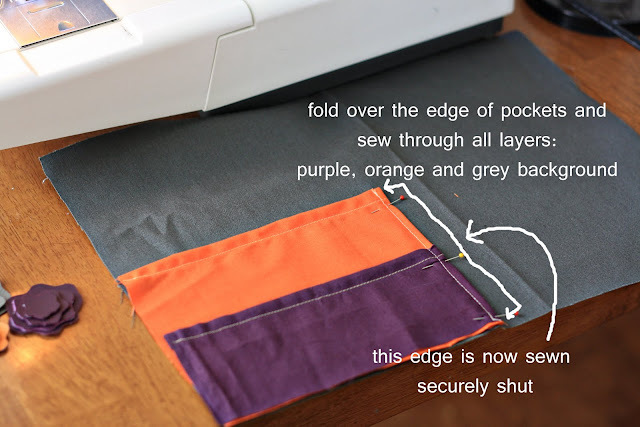 This is a tutorial for sewing an e-reader cover. Mine is specifically made for a Nook Color, but this can be adjusted for any type of e-reader (such as a kindle). I looked around for a tutorial online or a pattern to buy but didn't really see any that I liked. So I made my own. 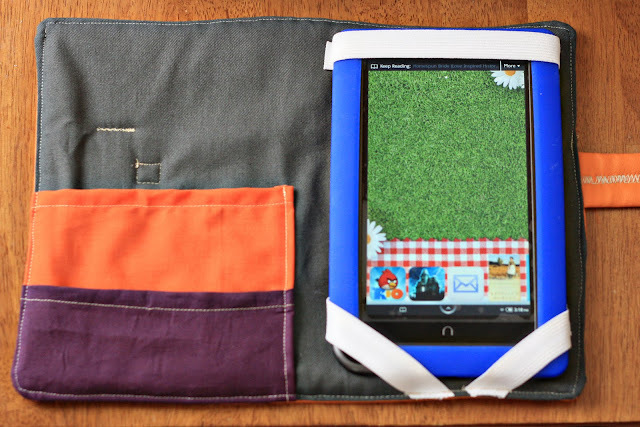 I really didn't want just a pouch or sleeve, since I want to keep my Nook in it even while I am reading and want to be able to have it in the cover while charging. 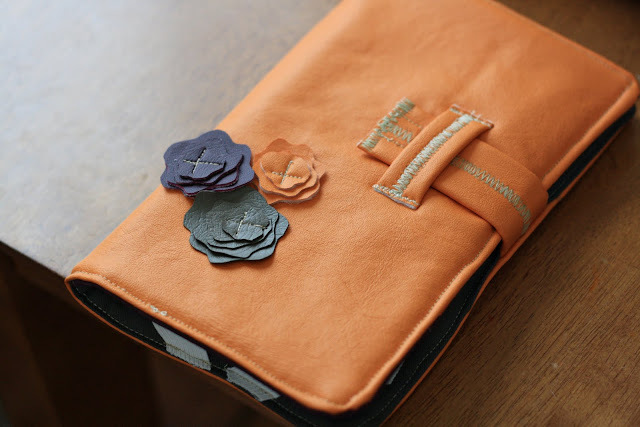 I also wanted to have pockets on the inside to keep a small notebook. 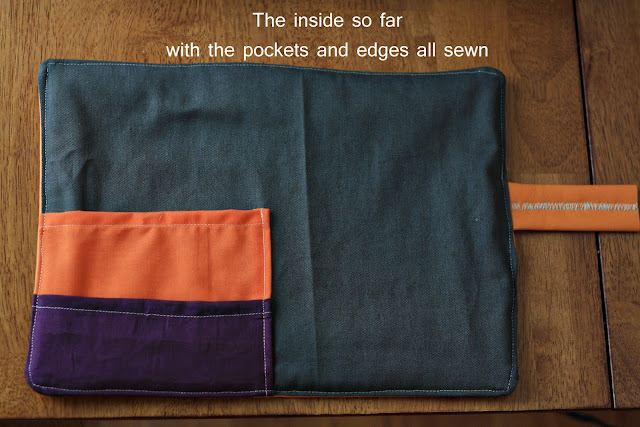 The front cover can fold back behind while reading and the elastic doesn't get in the way of any ports, buttons, or the screen. I chose to make the outside out of some remnant vinyl I bought at Hancock Fabrics for $4 a yard. I only needed a quarter yard, so that was only a dollar for the outside. I figured the outside could then wipe clean and be waterproof. 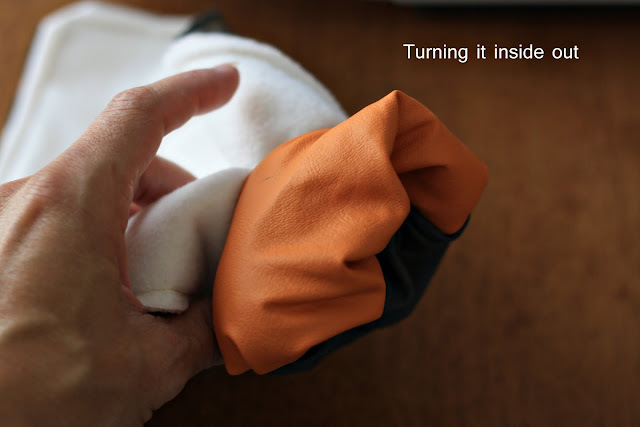 I padded the cover with a layer of thick fleece and the inside is a cotton canvas. I'm in love with how it turned out. First measure around your Nook and leave an inch extra around the top, bottom and outside edge sides as seen above. I left an inch gap as well for the "spine" of the cover between the front and back covers (so that technically is a half inch for each side in the middle). 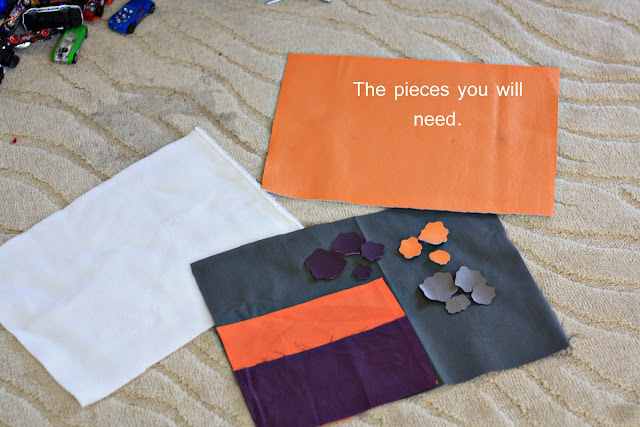 Here below are the pieces you will need all cut out. I forgot to show the two strap pieces though and the elastic. Also excuse the big stain on the rug (it refuses to come out with any type of carpet cleaning thanks to Tessa and her "spit up" phase of babyhood), and the pile of random Hotwheel cars. This is called crafting with small children in the home. 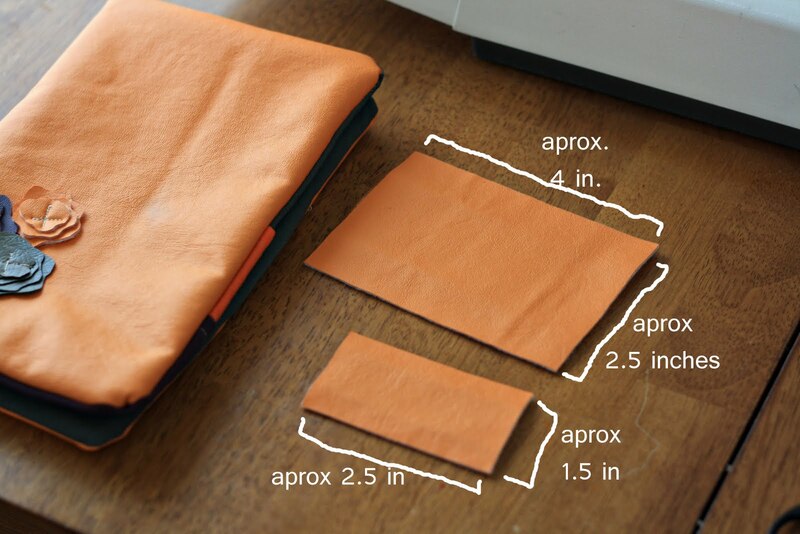 The first three listed here are cut exactly the same size per your e-reader measurements. 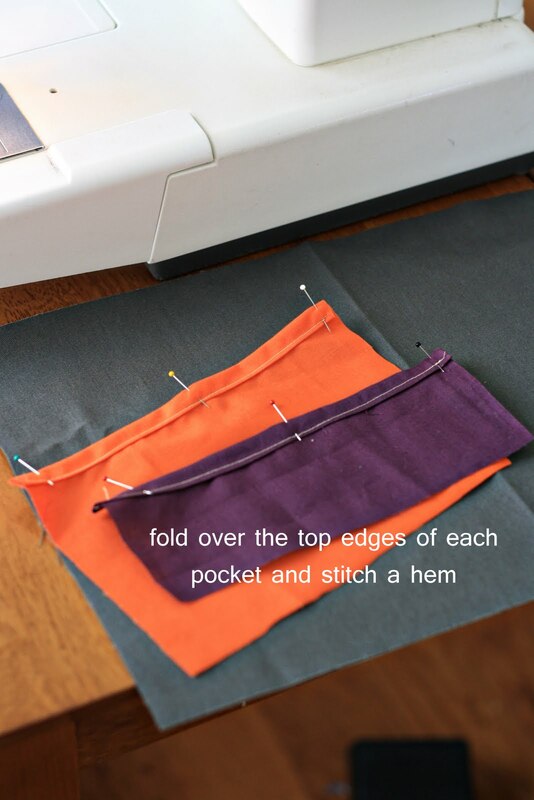 Fold the top of your pockets down a quarter inch and then a quarter inch again and hem. 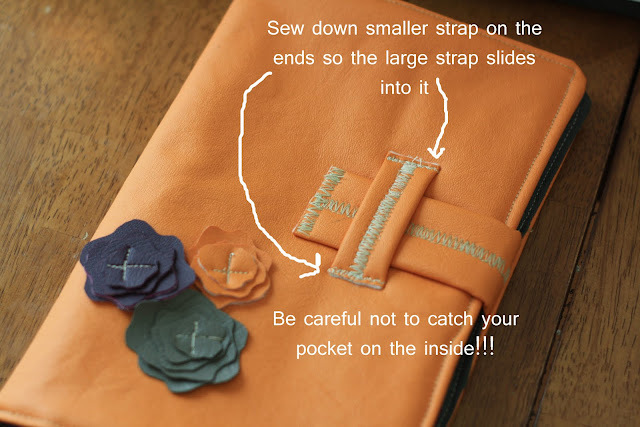 Make sure your pocket is at half of the height of the cover or less, because it will be hard to sew on your straps later if you make them bigger. The pocket will get in the way. 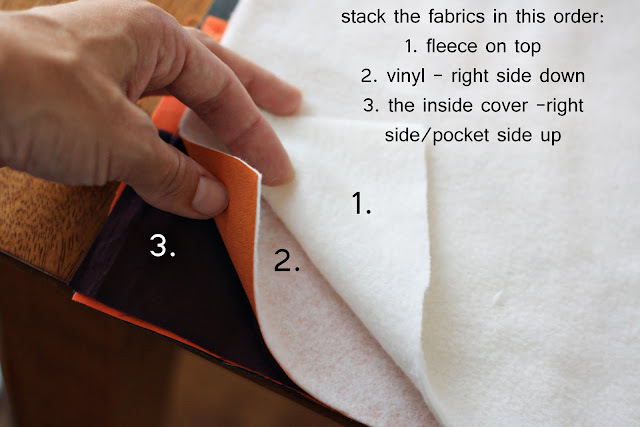 Then stack your pockets like so, fold the inside edge in a quarter turn and another quarter turn, and sew down the side edge going through all three layers. This will finish that side of your pocket. Now set that aside and grab your outside cover. 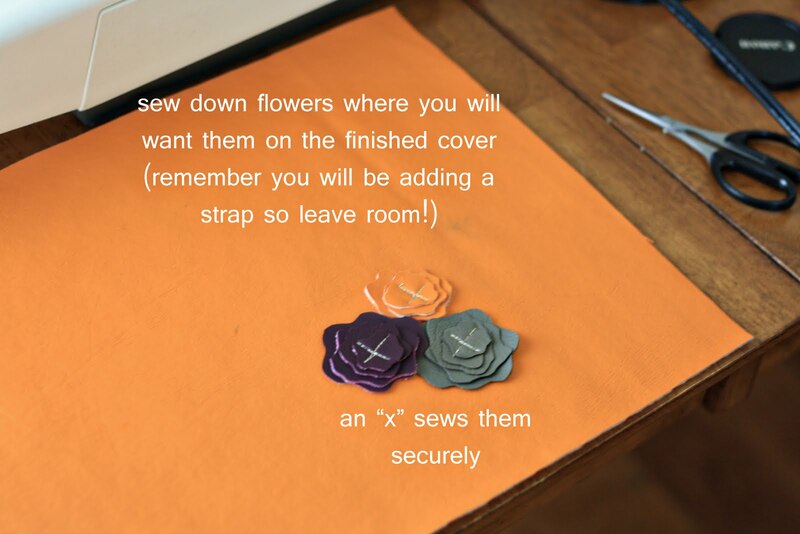 We are going to sew down the flowers. Decide on their placement, stack them up and sew them down. Make sure you don't put them where the strap is going to be! I cut mine out of vinyl since I wanted a sturdy but flat flower. I didn't want something that stuck out far but lay relatively flat since I was planning on folding the cover back for reading and didn't want to be bothered by something bumpy that wouldn't let the reader lay flat on my lap. These work great. 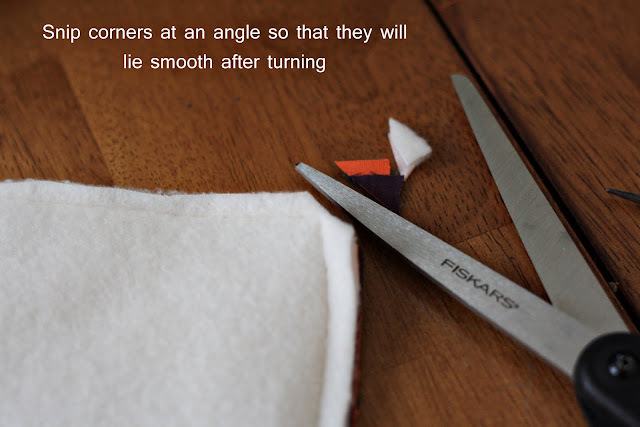 Stitch around the edges but start and end at the side where you will be slipping in your strap. So that would be the back side edge. The back of the cover is to the right, the front of the cover is to the left in this photo. Now turn your cover inside out making sure the fleece is in the middle. 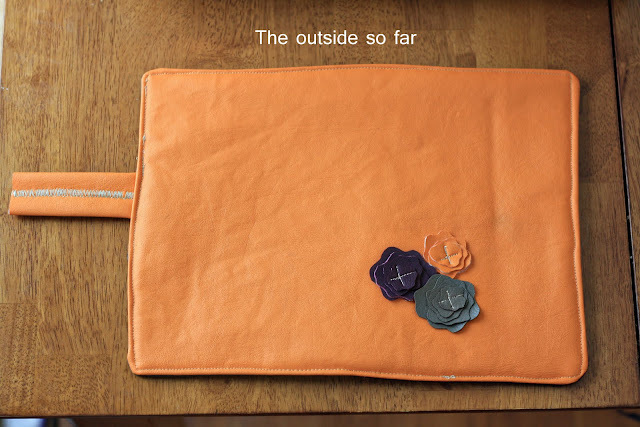 This is what the cover now looks like on the inside. 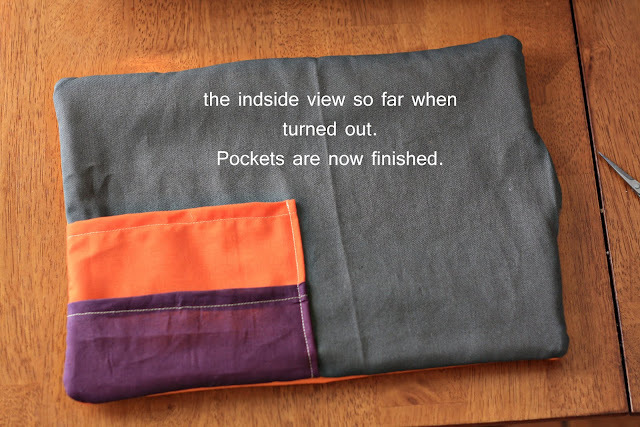 The pockets are now finished. Lets make the straps. Cut two rectangles out of vinyl. I gave my approximate sizes here. Fold the rectangles into the middle just like the picture and using a wide zigzag stitch on your machine, sew the gap flat. My machine likes to skip stitches on vinyl, so I needed a bigger tension number. 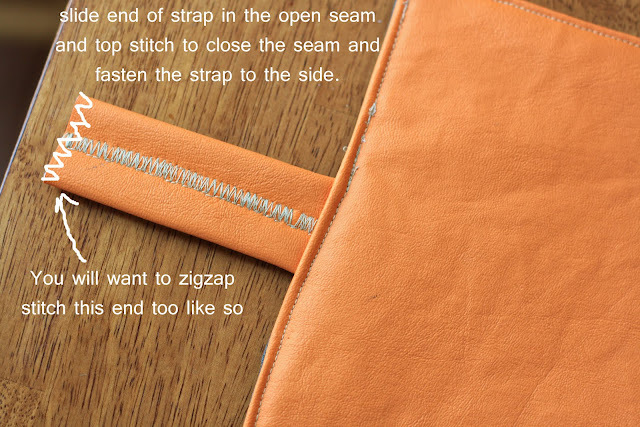 Now slide the bigger rectangle into the gap in the cover and top stitch all around the edge of the whole cover. I also did a zigzag stitch at the end of the strap to finish it off. 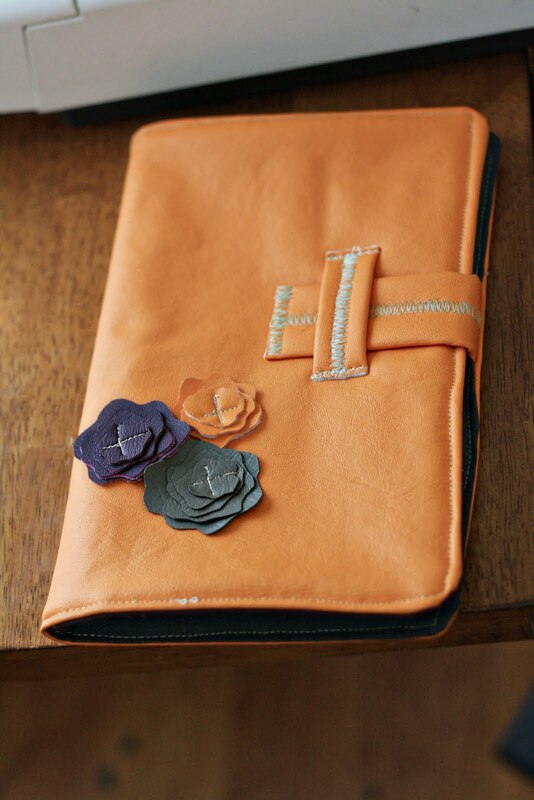 This is what the outside cover looks like with the edges top stitched. And here is the inside so far with the edges top stitched. 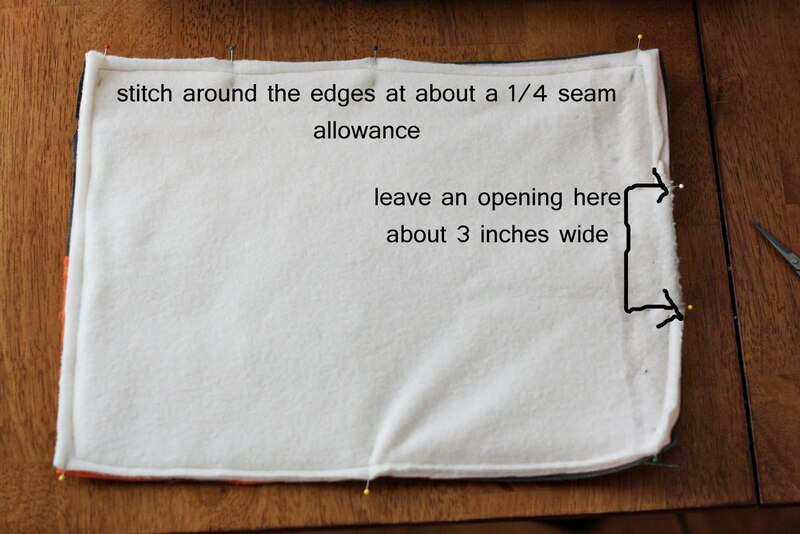 Now we are going to sew on the small rectangle. 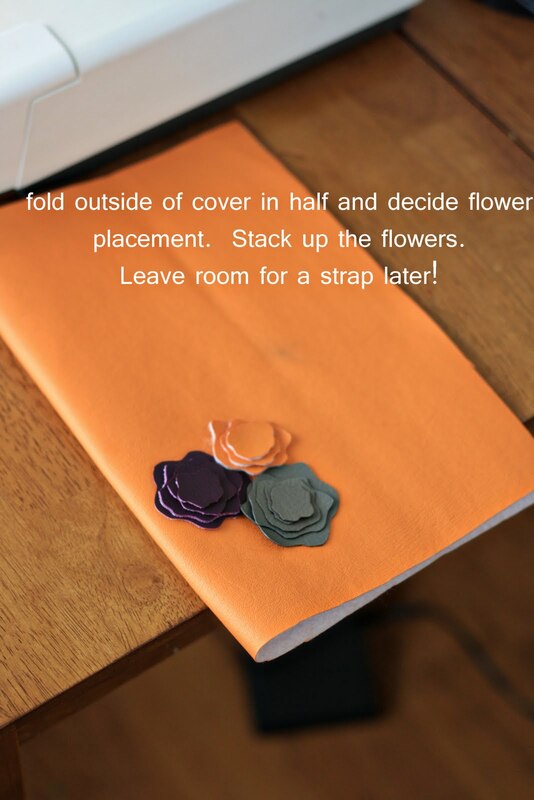 Fold over the strap and figure out your placement on the front cover. Be so very careful not to sew through your pocket. I had to fold mine down and pin it because I goofed and the pocket came up too high as you can see. 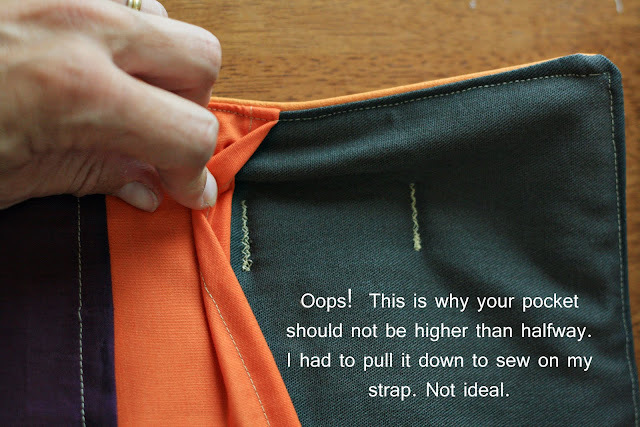 If you have to pull the pocket down a little, that's alright, but if the pocket comes up too high, it's impossible to pull it down enough to sew on the strap. So here we are almost done. 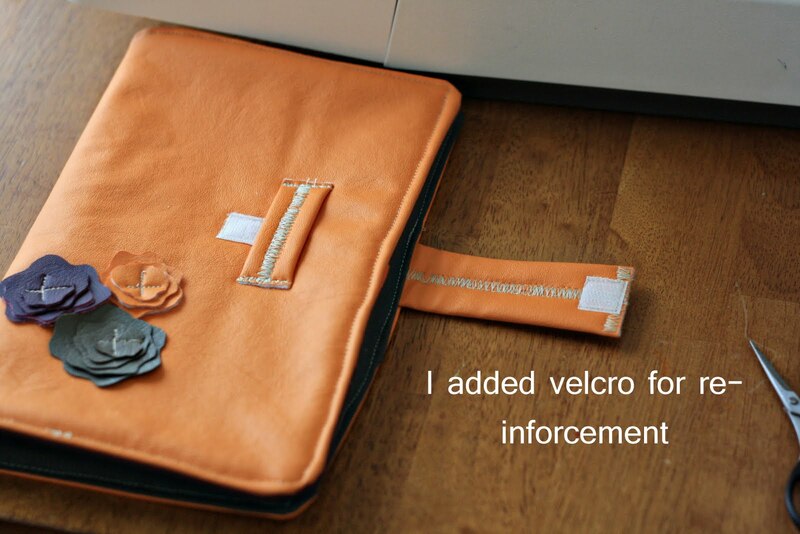 However, my strap had a tendency to slip out so I decided I needed to add a square of velcro for added reinforcement. Now my strap stays tight and doesn't slip out. Open the cover. 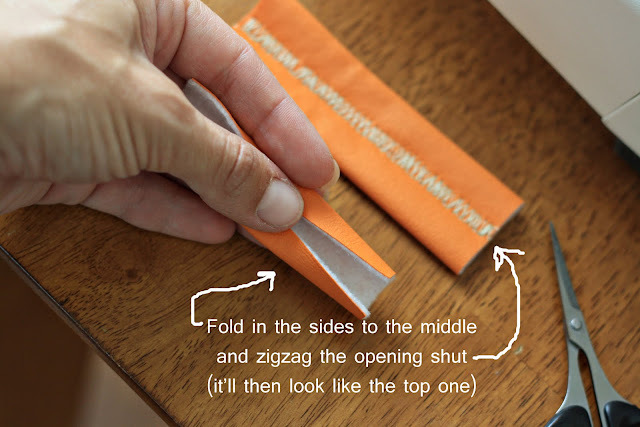 Sew down strips of elastic to the top edge and bottom corners of the inside. 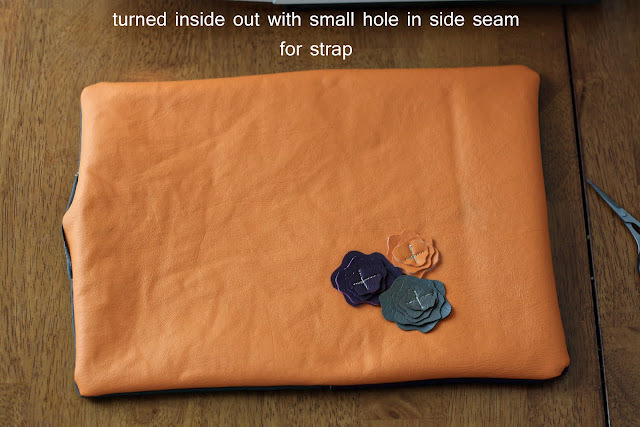 I made sure it held my Nook tightly and it doesn't slip around in there. It's secure and not going anywhere. I sewed the strips so that no ports or buttons are covered. The top elastic sits just above the power and volume ports and the charging dock is between the two bottom pieces of elastic. 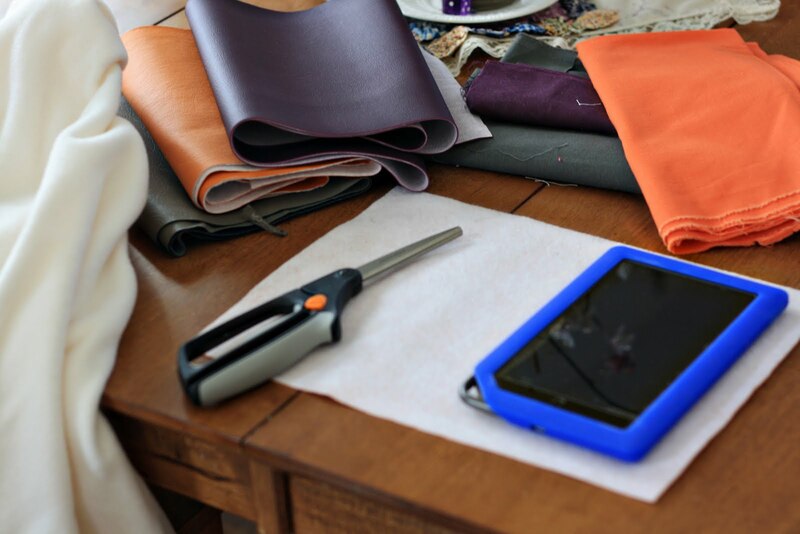 Your ereader may have them in different places so make sure you check first. Ta da! You have a lovely finished Nook cover (or really a cover for any type of e-reader if you made it to fit yours). 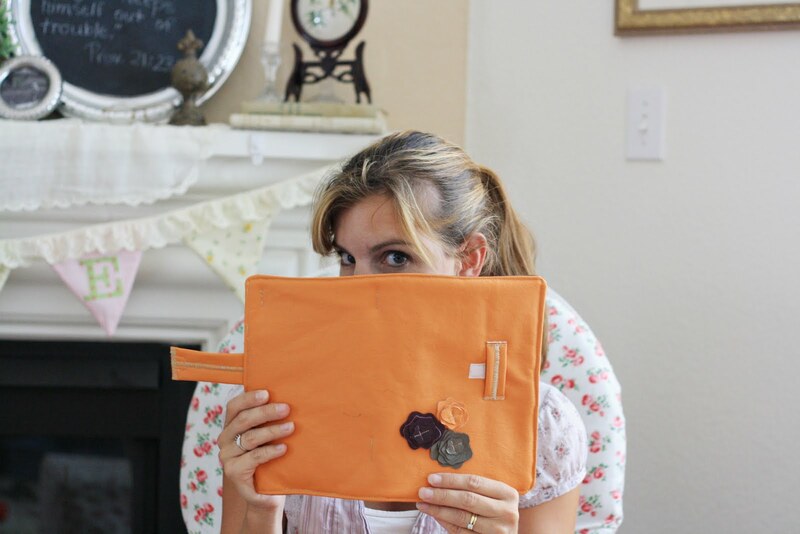 Here I am reading on my Nook. During the day...when my children are clamoring for my attention....yeah, it's really not working. This is more of an "after the children go to bed" activity. Hunter loves to play "Angry Birds" on my Nook as I stated in my last post. He just folds the front cover back as you can see here. There is no need to take the Nook out really since I can access all the ports with this design and it's more protected in there. I hope you find this tutorial easy but feel free to email me with any questions. It really is quite simple.